Social media gaffes can happen to the best of us. Sometimes even to Olympic athletes. Since the 2012 Summer Olympics kicked off in London last week, a small flurry of athletes — among them a Greek triple jumper and a Swiss soccer player — have been cut from their respective teams for sending offensive messages over Twitter. While an Olympic team doesn’t operate exactly like a business, there are some lessons business owners can glean from these social media mistakes and apply to their own marketing efforts. Here are three tips from social media expert Scott Stratten, author and founder of Ontario-based marketing consultancy Un-Marketing. 1. Make it known to employees that social media is not to be taken lightly. That’s not say no one can have fun with social media. But owners and their employees should be aware that what they socialize — either from the company or, if applicable, from their personal accounts — is a reflection on your brand. Stratten suggests creating a list of social media do’s and don’ts for employees. “Just realizing that they can change the brand perception with as little as 140 characters will usually make employees think before they tweet,” he says. Show both brand home-runs and strike-outs to give employees a frame of reference. 2. 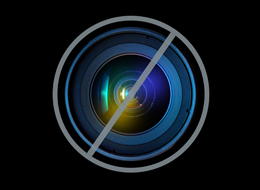 Have a human-resources plan for dealing with social media mistakes. The offending Olympic athletes were promptly expelled from competing for their social media transgressions. A business owner might not fire an employee for a minor misstep on social media, but should know what qualifies as a major mistake and the consequences employees could face if they make one. NEW YORK — In the age of social media, NBC now has millions of television critics who make their opinions known about every aspect of Olympics coverage instantly. They’ve even set up their own hashtag on Twitter: (hash)nbcfail. The online complaints focused Saturday on NBC’s decision to air the marquee swimming event won by American Ryan Lochte on tape delay in prime time, and Friday on the network not streaming the opening ceremony online. Sunday’s critics started early: people wondering why the U.S. men’s basketball team’s opening game aired on a cable network while women’s cycling was shown on NBC. The conversation is so active that NBC’s executive producer of the games, Jim Bell, took to Twitter to answer critics and even change the way NBC is doing something in response. “(hash)nbcfail is filled with a lot of crying and snark and humor, but NBC can actually learn something from it,” said Jeff Jarvis, a media critic who writes the Buzzmachine.com blog. Twitter crashed this afternoon leaving millions unable to communicate via the firm’s web site. The San Francisco firm confirmed the technical problems on its web site status page. It said: ‘Users may be experiencing issues accessing Twitter. 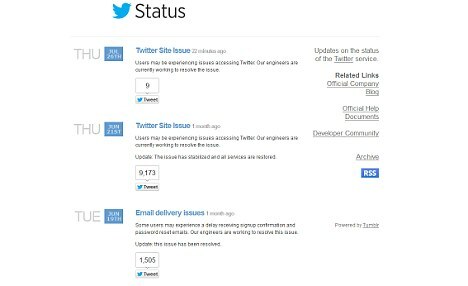 By 6pm (GMT) services had largely been restored, although some users were still reporting minor problems and twitter said it was still experiencing ‘performance issues’. The problems are a major embarrassment for the firm just a day before the Olympic opening ceremony, and fears were growing that the site could crash during the opening ceremony. The firm has been working closely with organisers to ensure the site is available. Major events can lead to thousands of tweets per second being sent, and traffic for the London Games is expected to be far higher than for Beijing, when twitter was far less established. ‘It could be making some people a bit nervous,’ said Tom Wiggins, news editor of gadget magazine Stuff. In previous years, the site became notorious for its ‘fail whale’, the logo displayed when its service crashed or became overloaded. If you want to know how people are feeling about the 2012 Olympic Games, just watch that giant Ferris wheel that looms over the River Thames in London. Once a night, the London Eye will light up in a pattern that reflects the prevailing sentiment about the games among Twitter users that day. Positive tweets will turn the thing yellow, negative ones purple. If it sounds like an epic MIT student prank crossed with a bizarre corporate social media campaign, that’s because that’s pretty much what it is. EDF Energy, a major UK energy company and sponsor of the London Eye, hired a team of MIT engineers to develop an algorithm that scans Olympics-related tweets and assigns them points based on the intensity of positive or negative sentiment expressed therein. If the tweets are, say, 75 percent positive, the London Eye will turn 75 percent yellow. Laugh if you like, but there was a bit of a buzz Friday about athletes risking their medal chances with every “tweet” and “like” on Twitter and Facebook. Social media site Facebook launched its London 2012 page on Monday which the International Olympic Committee (IOC) hopes will help simplify the event for fans. The Explore London 2012 page, 18 months in the making, and the culmination of a partnership with the IOC and the London Olympic Organising Committee (LOCOG) will enable users online access to their chosen athletes, sports and countries. “I think that anything that simplifies, or makes it a little bit easier to understand or follow the people you like, has got to be a good thing,” IOC Director of Communications Mark Adams said. The IOC said the page was part of a non-commercial project with Facebook. Facebook will be subject to the strict rules which govern Olympic sponsorship, marketing and videos, meaning they will not display advertising around its Explore London 2012 page and athletes will not be able to post videos of themselves in the Games venues. 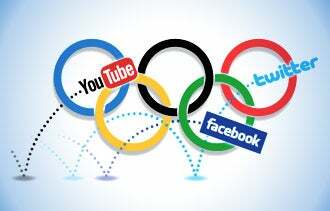 Facebook’s EMEA director of platform partnerships Christian Hernandez said the Olympics had previously been a “curated experience”, with broadcasters dictating what viewers outside the stadium could see, but that was set to change as the social media age handed users the power to decide what they want to watch.